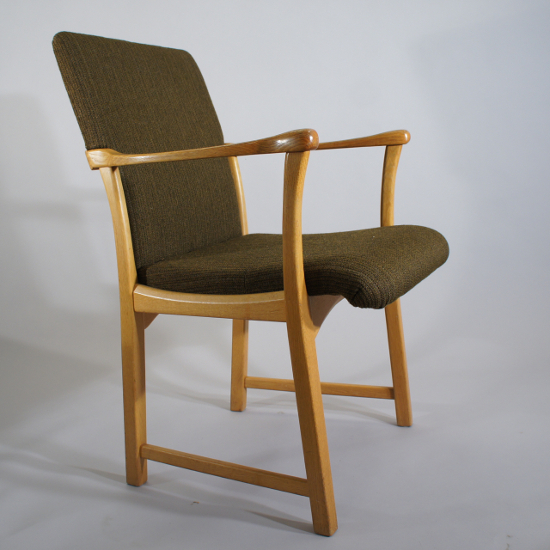 Arm chair in oak and seating in wool. Maker unknown. 4 side chairs in rosewood with seats in leather. Kurt Østervig, Denmark 1953. Arm chair mod 46 – Sold.